Of the percentage of millennial lawyers who responded to a new survey, 47.1% say workloads have increased since compensation increases for associates rippled across BigLaw. And a significant portion of millennials would be willing to take a pay cut for more time out of the office. The survey asked younger lawyers working in U.S. law firms whether they would give up part of their compensation in exchange for various options, including three that could provide better work-life balance. They were asked to check all that apply. The results concluded that 26.2% would take less money for a flexible work schedule, 25.8% for more time off, and 23.1% for a cut in billable hours. Major, Lindsey & Africa conducted the survey of more than 1,200 lawyers in law firms in conjunction with Above the Law. The survey targeted Above the Law’s millennial readership. It can be downloaded here; a press release is here. Despite the desire for better work-life balance, partnership is still viewed as a long-term career goal. Asked what they saw themselves doing in the next 10 years, the largest group of respondents—27.7%—saw themselves as a partner at their current firm. Another 12.3% saw themselves as a partner at another firm. Yet another 12.3% saw themselves running their own practice, while another 12.3% saw themselves not practicing law. The findings on partnership goals contrast with the percentage who agree that law firm partnership is less desirable than it was a generation ago. Sixty-six percent agreed with that statement. Law firm life also saw dissatisfaction in a few other aspects, according to the report. • Among women, 45.3% strongly agreed there is inherent sexism. Among men, 14.2% strongly agreed. • Among women, 56.1% strongly agreed there is a gender pay gap. Among men, 17.9% strongly agreed. • 62.3% of women and 64.2% of men strongly agreed that law firms should strive for maximum transparency with regard to compensation. • 44.4% agree that the current generation of law firm leadership has outstayed its effectiveness. • 61.6% agree that the millennial generation of lawyers is transforming law firm policies and culture for the better. 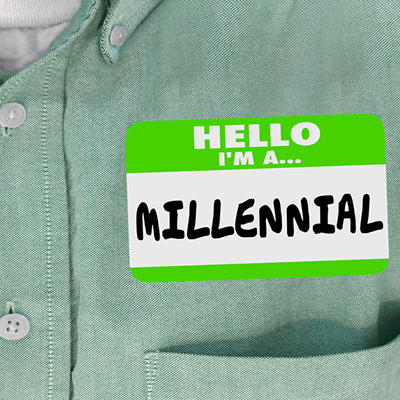 • While nearly 70% of millennials described themselves as loyal to their firms, more than 75% either were open to new job opportunities or actively seeking them.